Fitted Car Cover, Handmade in the UK on an individual basis for your Ariel Atom. 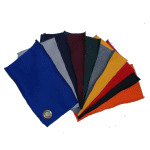 Soft Fleece Indoor or Strong Waterproof and Breathable outdoor. Each in a choice of colour. See details Ariel Atom ADVAN-TEX Waterproof & Breathable Outdoor Bespoke Car Cover - Fully Fitted, made to order. See details Ariel Atom Cielo 2 Tone Waterproof & Breathable Outdoor Bespoke Car Cover - Fully Fitted, made to order.